LINDA COUSO PUCCIO a partner in the law firm of Fiorello Puccio & Fiorello LLC, has been practicing law in Northern New Jersey since 1984. 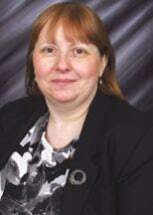 Ms. Puccio received her Juris Doctor Degree from Seton Hall University School of Law in 1984. She received her Bachelor of Arts Degree from Drew University in 1981, where she was a Trustee Scholar. Ms. Puccio has participated in litigation involving many areas of law and regularly appears in the Law Division (Civil and Special Civil Parts) and Chancery Division (Family, General Equity and Probate Parts) of the Superior Court of New Jersey. She has participated in and argued several appeals before the Appellate Division of the Superior Court of New Jersey and has appeared before the United States Bankruptcy Court and the United States District Court for the District of New Jersey as well as the Office of Administrative Law. She also handles residential and commercial real estate transactions, wills and estate planning, estate administration, guardianships, adoptions, and represents small businesses. She is frequently appointed by the Superior Court to serve as guardian or as attorney for minors and incapacitated persons in guardianships and other matters. Ms. Puccio served on the Passaic County District XI Fee Arbitration Committee from 2001 until 2005 and from 2004 through 2005 served as Chairperson. In 2006, she was appointed to a four year term as a member of the Passaic County District XI Ethics Committee and served on the Committee until 2015; for the last two years of her term, she served as Chair. In September 2015, Ms. Puccio was reappointed to the Fee Arbitration Committee for a four year term. In 2017, Ms. Puccio was honored by the Passaic County Bar Association as the Distinguished Chancery Practitioner of the Year. Ms. Puccio has provided pro bono representation to several non-profit organizations, including the Madison Volunteer Ambulance Corps in Morris County, New Jersey. She also serves as the attorney for the International Order of the Rainbow for Girls in New Jersey and has been a member of their state Executive Committee for nearly 30 years. Ms. Puccio has received a BV Distinguished (TM) Peer Review Rating through Martindale Hubbell, having been rated by her fellow attorneys as having achieved excellence in legal ability and having met very high ethical standards. AV Preeminent (TM) and BV Distinguished (TM) are certification marks of Reed Elsevier Properties Inc., used in accordance with the Martindale-Hubbell certification procedures, standards and policies. Martindale-Hubbell is a facilitator of a Peer Review Rating process. Ratings reflect the anonymous opinions of the members of the Bar and Judiciary. Martindale-Hubbell Peer Review Ratings fall into two categories - legal ability and general ethical standards and policies. Martindale-Hubbell is a facilitator of a Peer Review Rating process. Ratings reflect the anonymous opinions of the members of the Bar and Judiciary. Martindale-Hubbell Peer Review Ratings fall into two categories - legal ability and general ethical standards. Recipient of BV Distinguished Peer Review Rating through Martindale Hubbell. This rating indicates that Ms. Puccio has been rated by her fellow attorneys to have achieved excellence in legal ability and to have met very high ethical standards.